Cancer patients who use alternative therapies may be more likely to shun conventional treatments and risk their chances of survival, research suggests. A study of 1,290 patients in the US found people who received such therapies often refused life-saving care such as chemotherapy or surgery. Fewer of them survived five years after starting treatment compared to those on standard care, researchers found. Experts urged patients not to ditch proven cancer medicines. Researchers said the use of alternative therapies, which include certain diets, minerals and vitamin infusions, was growing in the US but there was limited research on how effective they are. Their study, published in JAMA Oncology, looked at 258 patients who had used these therapies with at least one standard treatment, compared to 1,032 who only received conventional care. The study found a smaller proportion of those who received such treatment had survived five years after beginning treatment – 82.2% compared to 86.6%. Separately, they were found to be more than twice as likely to die at any point over the course of the nine-year study, as a result of either refusing or delaying standard treatment. The paper’s authors said it was likely the results for those who used alternative therapies would have been worse were it not for the fact that they were a group that had better cancer survival chances to begin with. As a group, they were more likely to be women, younger, more affluent and healthier, the study’s authors noted. 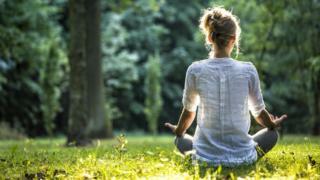 Although researchers linked the lower chances of survival to refusing or delaying standard treatments, lead author Dr Skyler Johnson, from Yale School of Medicine, told the BBC it was also possible some alternative therapies could interact with conventional treatments and make them less effective. The study did not include data on the exact therapies people used. But Dr Johnson said they were more likely to be alternative medicines – treatments that lack clear scientific evidence and are often used in place of conventional care – rather than complementary therapies like yoga or massage, which are usually used alongside standard treatments. “The reality is despite the fact that many patients believe that these types of unproven therapies will improve their survival and possibly even improve their chances of a cure, there’s really no evidence to support that claim…” said Dr Johnson. Martin Ledwick, Cancer Research UK’s head information nurse, said complementary medicine might help improve wellbeing or quality of life for some patients. “But it is important that patients considering them do not see them as an alternative to conventional treatments that have been shown though clinical trials to make a real difference to survival,” he said.